Each charm carries unique, heartfelt meaning. Showcase symbols of your favorite hobbies, sports and animals, and add a touch of whimsy and romance to your bracelet with enchanting and heartfelt pieces. Punctuate your collection with cheeky emojis, and commemorate special occasions and celebrate the holidays with festive charms. Symbols of family, friends and beloved pets will fit perfectly on your bracelet as well. 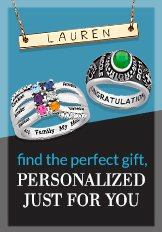 With so many options to choose from, your personalized charm collection will grow and change alongside your own dynamic style.